When orders came through for David Lockhart to gather his team together for another top-secret mission, he thought nothing of it. It came from the proper source, within proper channels, encoded with the latest series of ciphers. Everything seemed in order. It was not.The mission was a one-way ticket to oblivion and the ambush MESA walked into took every life of the team. All except one. Yup, you … guessed it. 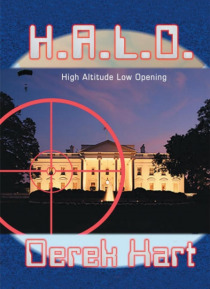 David Lockhart managed to shoot his way out, a combination of skills, training, and a beautiful woman.For the perpetrators of this betrayal of one of the most successful covert teams in American history, David Lockhart's survival was not a good thing. No, it was not a good thing. For now Lockhart was mad. Not the raging, red-faced, out-of-control, irrational type of mad. You see, David Lockhart wasn't like that. His anger was far more dangerous, for his outlet was directed at planning, cold and calculating analysis of what went wrong. Just be certain that revenge would be his.